It's really a first world problem. Much like some females collect high end purses or perhaps high healed shoes that come with a pedigree, I collect bikes. To make matters perhaps even worse, I love, rather I utterly, completely unequivocally adore navigation by GPS. 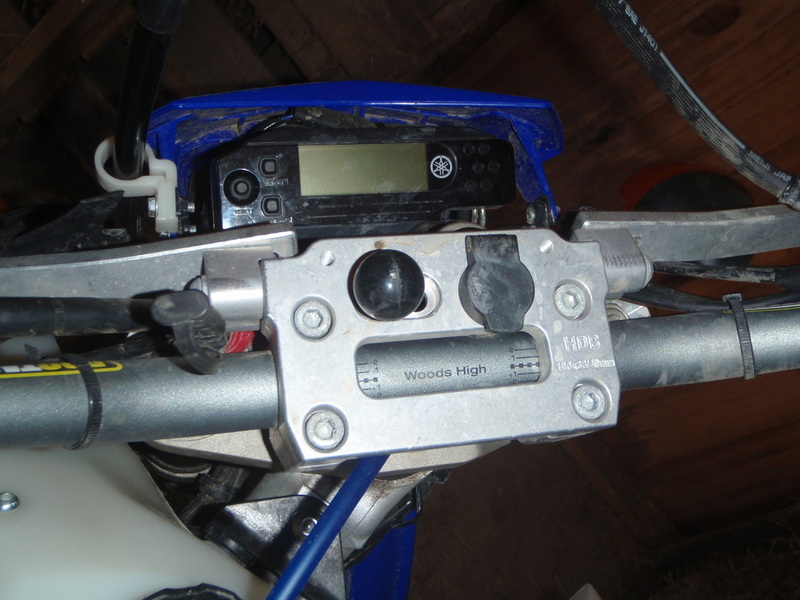 While a bit long in the tooth now, my Garmin Zumo 660 has been fabulous, but I hate the Motorcycle Power cradle. It's easy to see why I hate this mount. First off, we are powering a GPS, not running NASA. This all-in-one mount not only includes the power wires, but also a audio out for your headphone navigation and also another audio port (in?). Perhaps the best feature of this whole contraption is the female micro USB port which is used to allow you send files to the GPS without undocking it. However, this port is not waterproof and when it gets wet will send all kinds of messages to your GPS which will render it useless as it will cover the entire screen with useless error messages. For all of this joy, you will be $60 dollars lighter in your pocket. 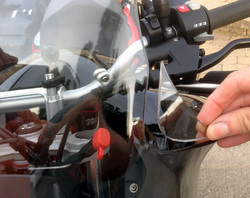 The next sticker shock comes when you realize that mount is really not designed for off-roading motorcycling. In fact, one friend of mine lost not one, but TWO Zumo 660s as they unclipped from the above mount and skipped down the tarmac to thier ultimate demise. 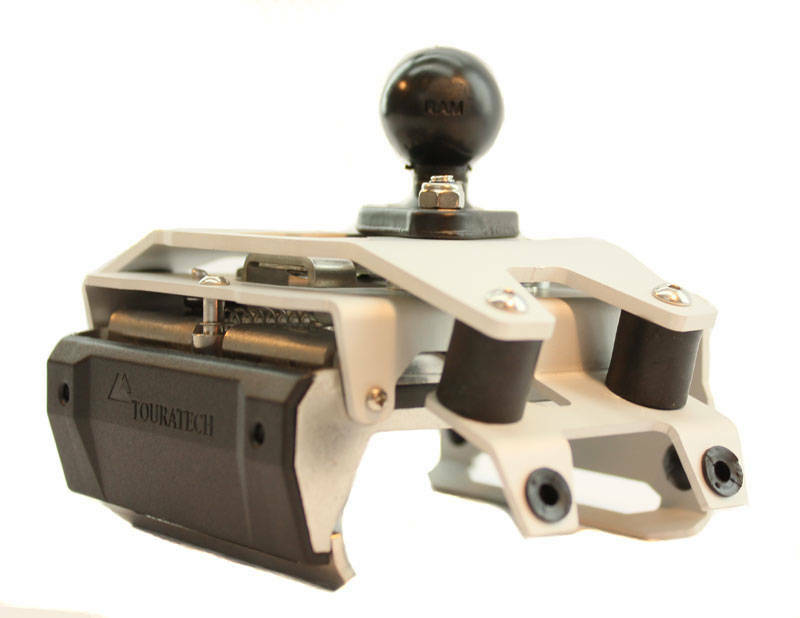 Also, electronics really don't flourish in high vibration environments, so it's also a good idea to find a mount that cannot only provide security but also vibration dampening. Touratech to the rescue! 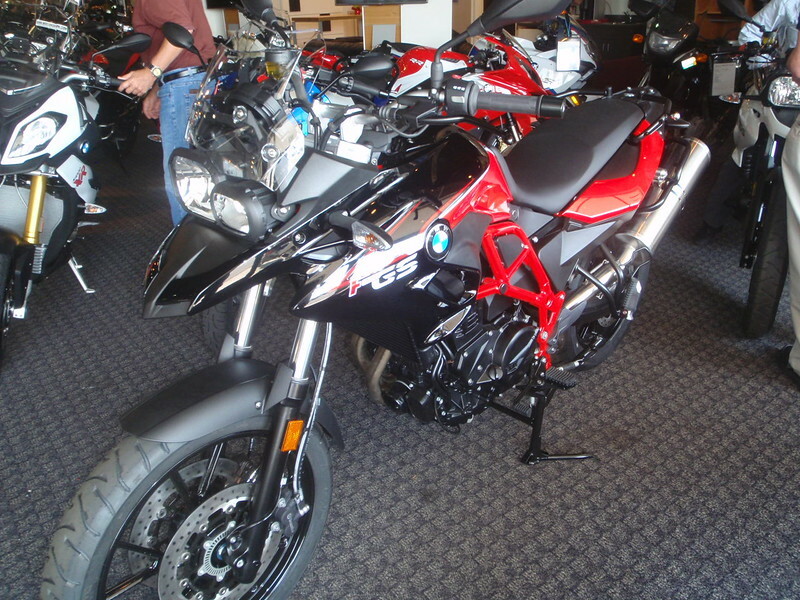 However, I really don't want to spend $300 on every bike I own just for the privilege of using a GPS. 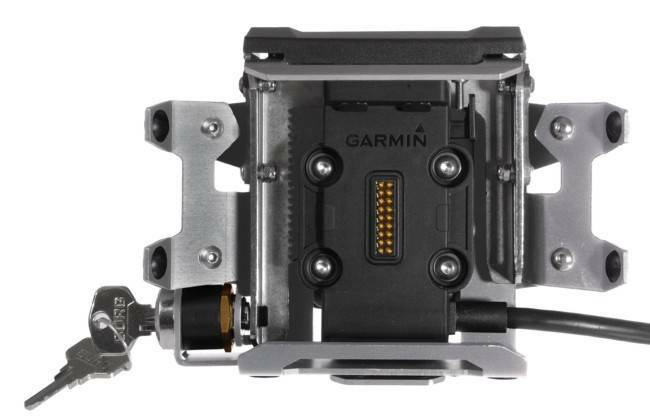 That is $300 if you installed it how Garmin suggest. But what if you really only needed to power the GPS and throw caution to the wind on the other functions in the cable? Well, that it is exactly what I did. 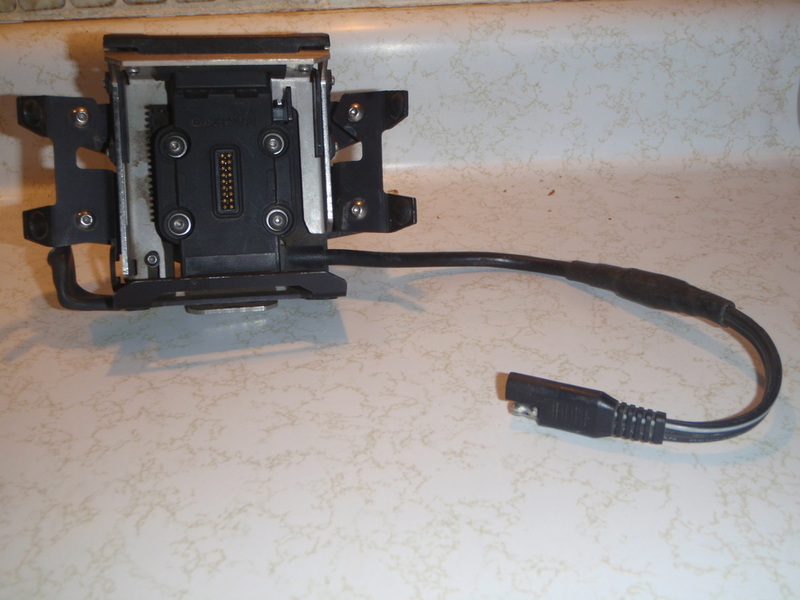 I started with buying two of these 2-Pin SAE cable with 7.5AMP inline fuse. 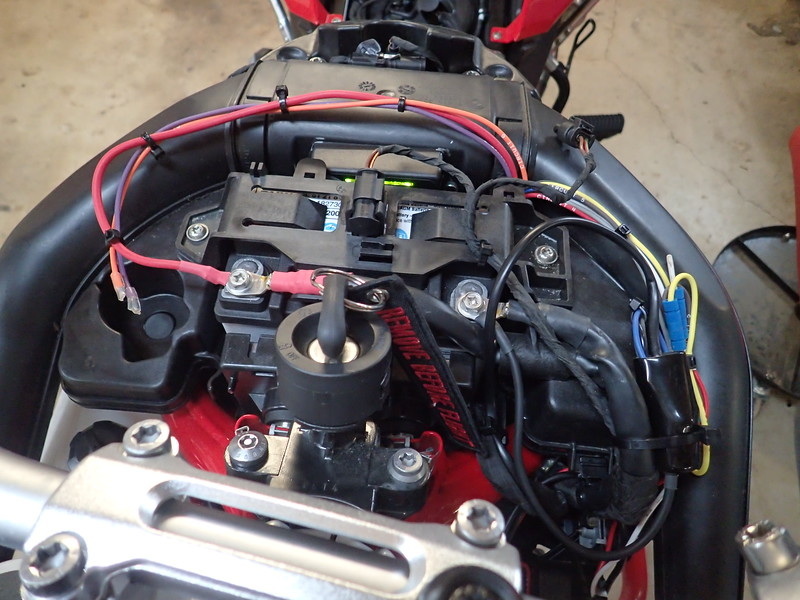 Since I use a PDM60, I will cut off the fuse on which gets power from the bike. However, do ensure you keep the polarity the same. 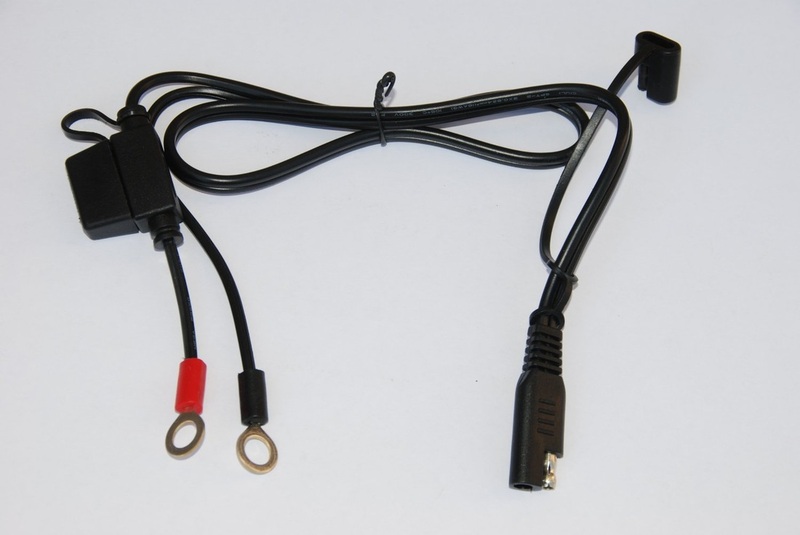 The positive lead should be the wire with recessed pin. I also add a 1" RAM Mount ball somewhere on the handle bars. This is what two prepped bikes look like. 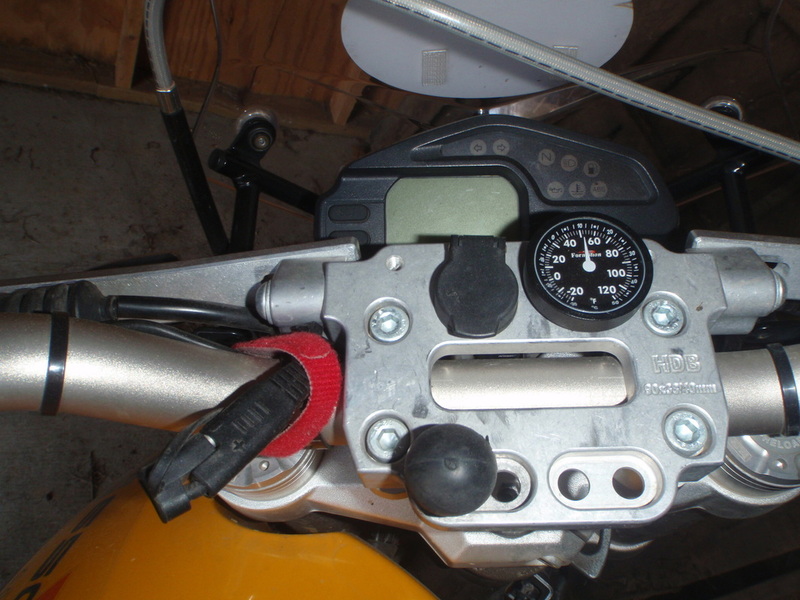 With the bike end prepped, it's now time to tinker with GPS end. I will cut off all the connectors and only leave about 8-10" of power lead wires. Since they are such a small wire, I will solder them, then cover them with a short and long piece of adhesive Lined heat shrink. 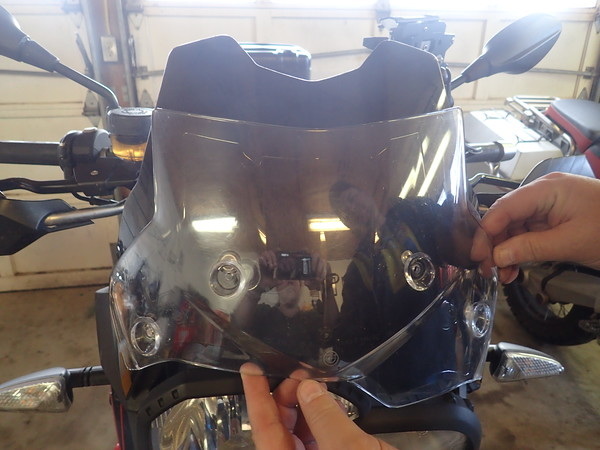 The adhesive lining is excellent for weatherproofing, and the shrink itself will provide strain relief and hopefully prevent mechanical fatigue. Some of my favorite adhesive heat shrink is from Napa Auto parts #NW 729134. 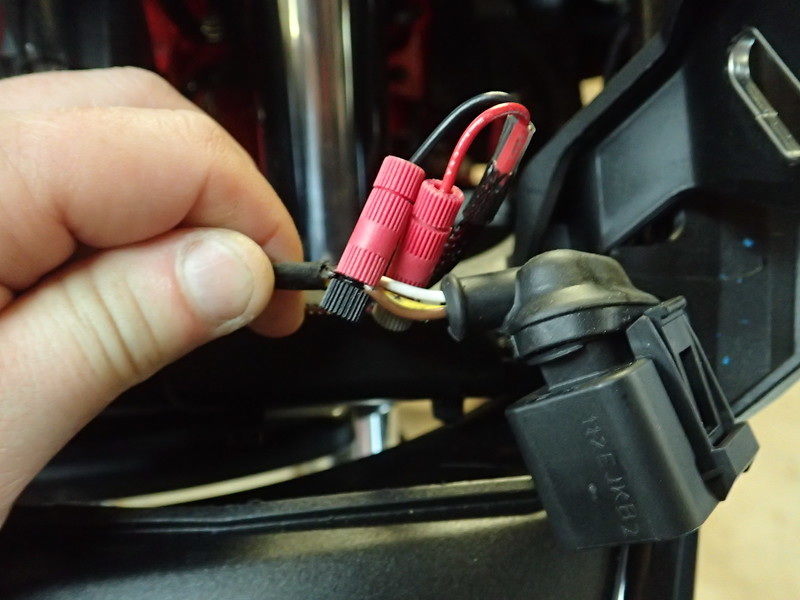 Of note here, in order to get the SAE plug to mate to your bike's connection, the positive connector on your GPS MOUNT is now going to the be exposed pin. There is no harm such as arcing, as it's impossible for this pin to be engerized when unplugged. When it comes to luggage, I've probably crash dummied more sets than most. 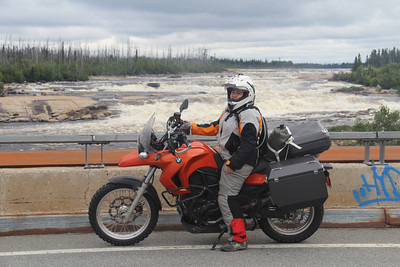 I started my mis-adventures with the sleek Vario panniers. True to BMW design, the Vario rack system is elegant, simply stated, yet incredibly functional and unrust-able. The Varios themselves, however, missed the mark. While the locking mechanism is ignition keyed, the side-loading nature of the bags is a bit plucky. I probably never opened them without fishing everything I didn't want off the ground to repack them again. Also, they are expandable which is a slick option. However, the expansion gear is a bit fragile when the bike gets nappy in the parking lot. 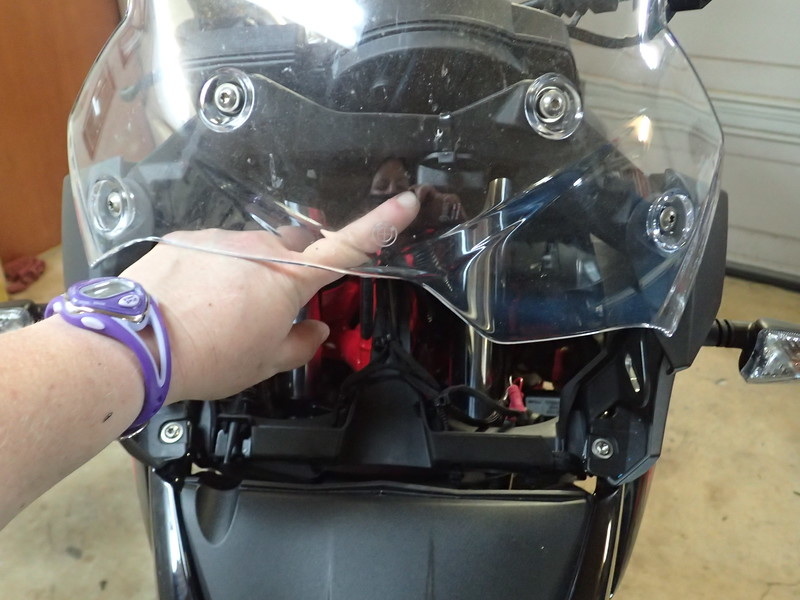 While you can reset the expansion gear, it's terribly time consuming, and shortly there after you break the teeth off needing a $421 replacement pannier. 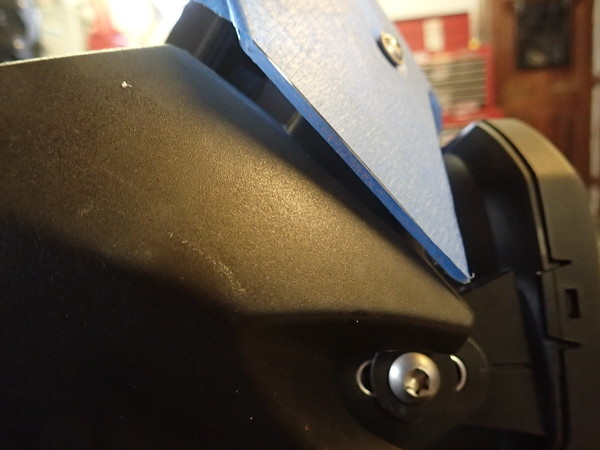 I found the metal BMW adventure panniers to be be surprisingly fragile, and I don't think I have ever seen one pair that hasn't leaked right out of the box. The gasket system just isn't all that great. And while I love the ignition keyed locks, the latches themselves are bit clunky. Not that it's important so much for a road bike, but it seems you only get about 2-3 crashes before they are so far out of square you can't re-bend them. 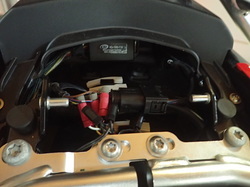 The latches attach the pannier to the frame opposite of the R1200gs. 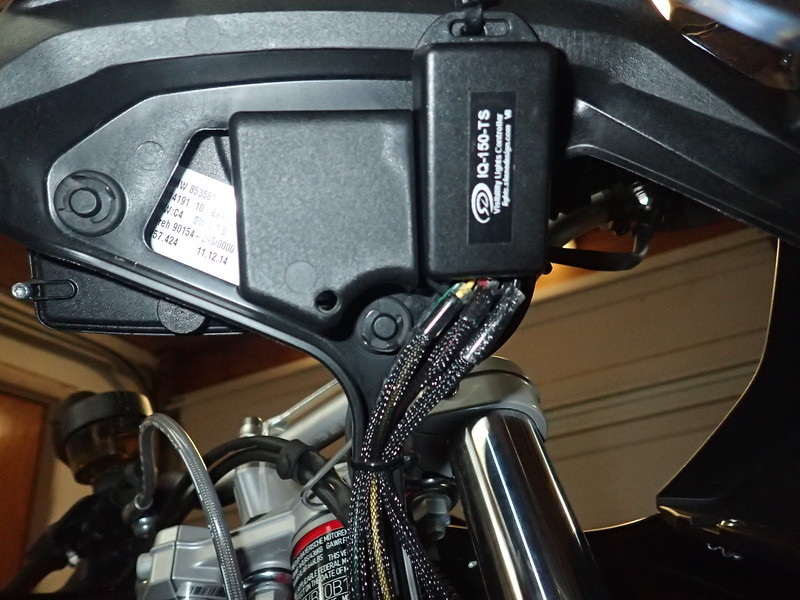 This also means that the latches are often tweaked when the bike falls, although you can replace them for $60/pop. 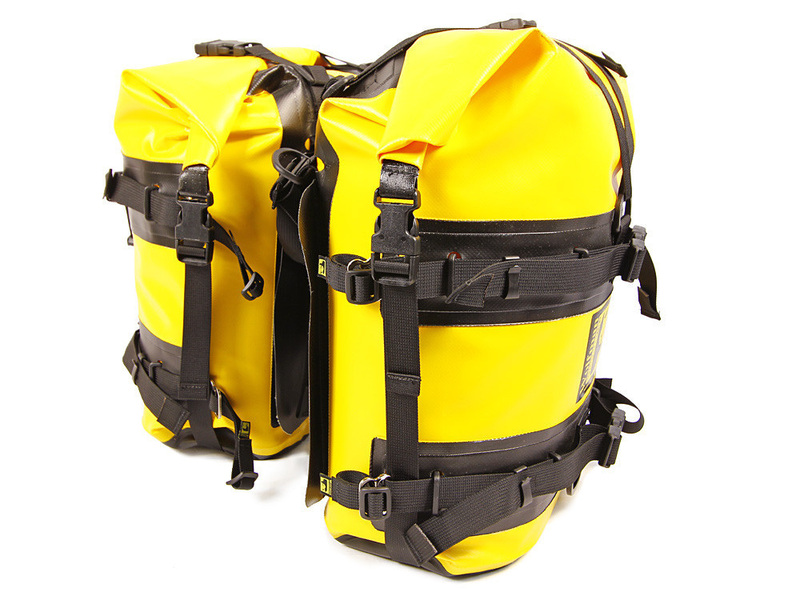 The replacement fee for the entire pannier is $571/each. However, the racks are incredibly stable, indestructible as heck, and amazing grab handles. I didn't think the finish was all that important until I got another set of racks, that would just rust before my eyes. Which brings me to the Jesse system. The panniers are indestructible. They probably have the biggest volume, for the the narrowest width in the industry. 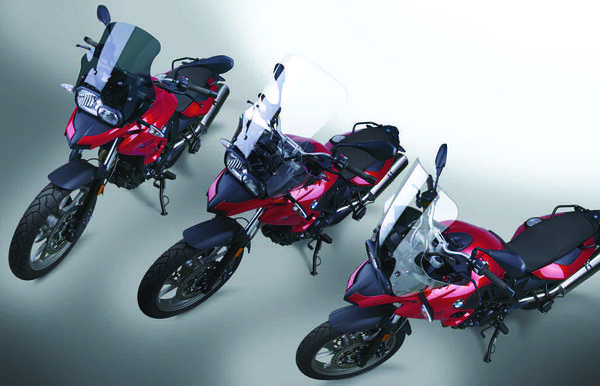 The panniers are made out of battle-proven aluminum plate, however, at a cost of higher weight. The down fall to the system is the racks though. The rack is made out of steel, and rusts, rusts, and more rusts before your eyes. 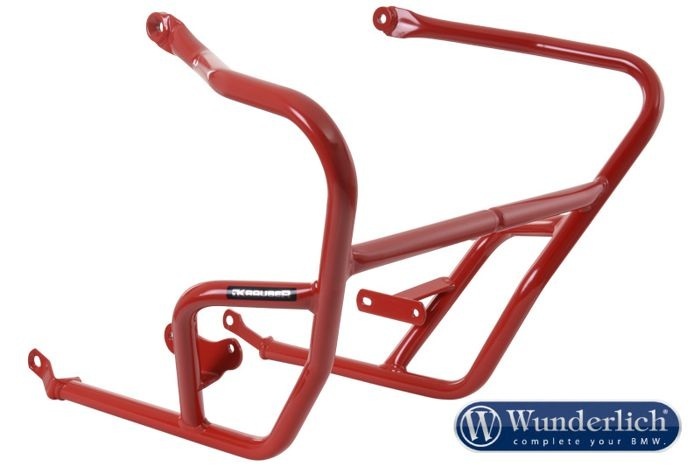 The rack system also doesn't attache to the rear of the subframe the same way as the BMW racks do, and therefore aren't are stable. My last gripe about the Jesse racks is that it too a heck of shimming to get them to even mount up to the bike, and even then, they never seemed 'right'. However, the pizza box top case was personal favorite. While the case consistently rattled through its' 77K mile existence, it was functionally shaped to handle all that I could throw at it. At one point, the joke was the top case had more dents that than my skidplate! The latch drove me nuts too, if it wasn't locked with the key, the latch would rattle open. How I never lost anything as it flopped open in the open wind is beyond me. 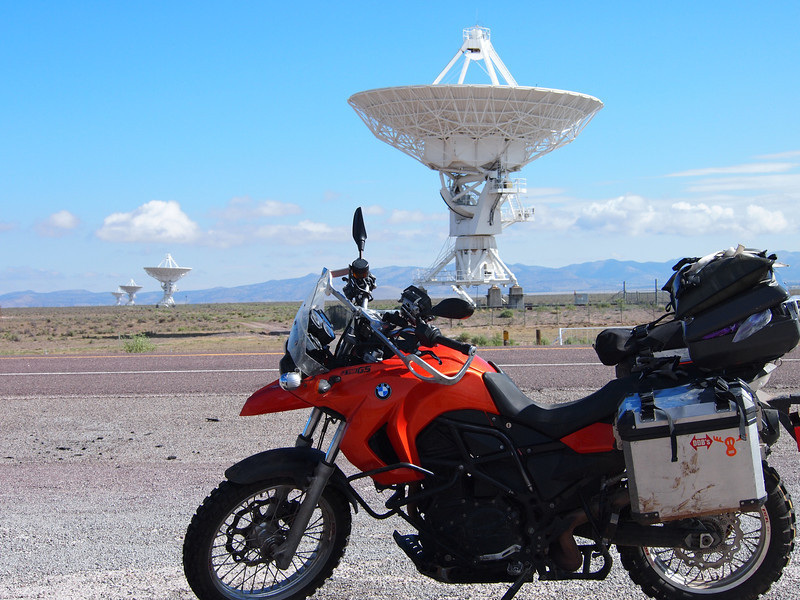 On my little bikes, I started using both the ﻿Giant Loop Great Basin﻿ and also the Wolfman Expedition panniers. 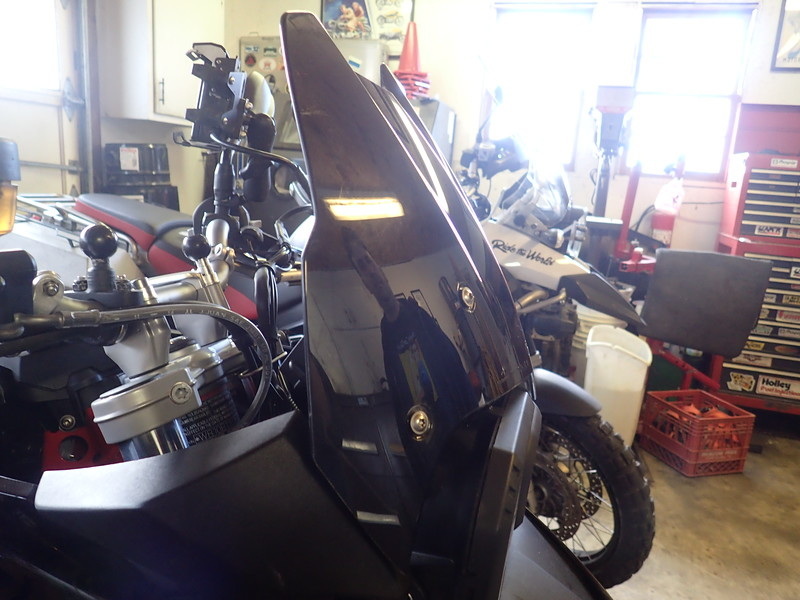 While the Great Basin is about the only option for a bike without racks, it leaks like a sieve and rubs the heck out of the body panels. The Great Basins are not quick, semi-quick to access during your trip. 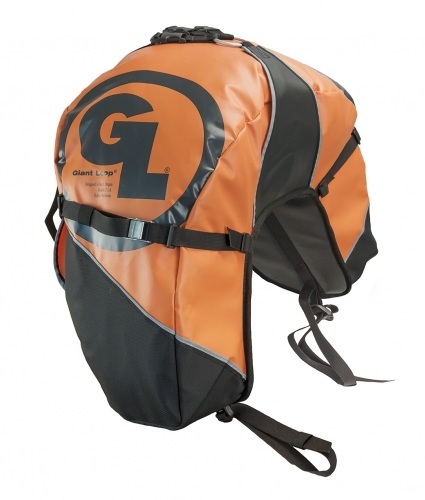 The Expeditions however, are very waterproof attache well and have become a local favorite! So, where to go with this build? I really used unconventional wisdom for this, and took the best of everything. I needed a top case for lunch box carrying, pannier racks for my occasionally weekend packout using the soft bags.I decided on the BMW Adventure Racks for rustfree grab handle durability, the Vario top case system with it's shape consistent with the Jesse Pizza box, but the latching system of the Varios, and the Wolfman Expedition panniers for lightness/waterproofness. 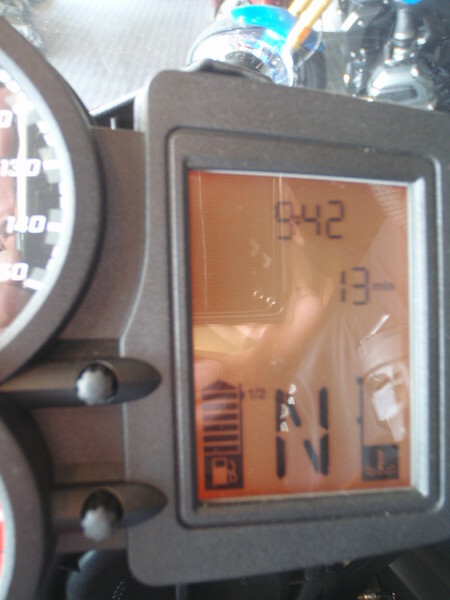 The expeditions are used on multiple bikes, and also have this speed loading ﻿enhancemen﻿t. Perhaps the best thing about kindergarten was nap time. You know that time after lunch and before afternoon cookies where you could just lay down and give the day a think. You were stuck there whether you liked it or not for the next 60 (never-ending kid) minutes. It seems that my bikes have also had a predilection to napping also. Some bikes have even have bouts of undiagnosed narcolepsy, but the seemingly in all those events it never stopped our adventures. 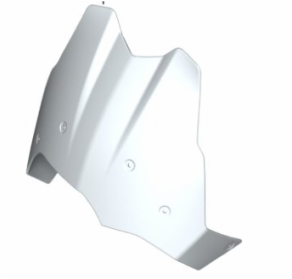 So, while Roulette is going to be a 'road' only bike, it's best we consider some minimal armoring. It's the difference between riding home and not. 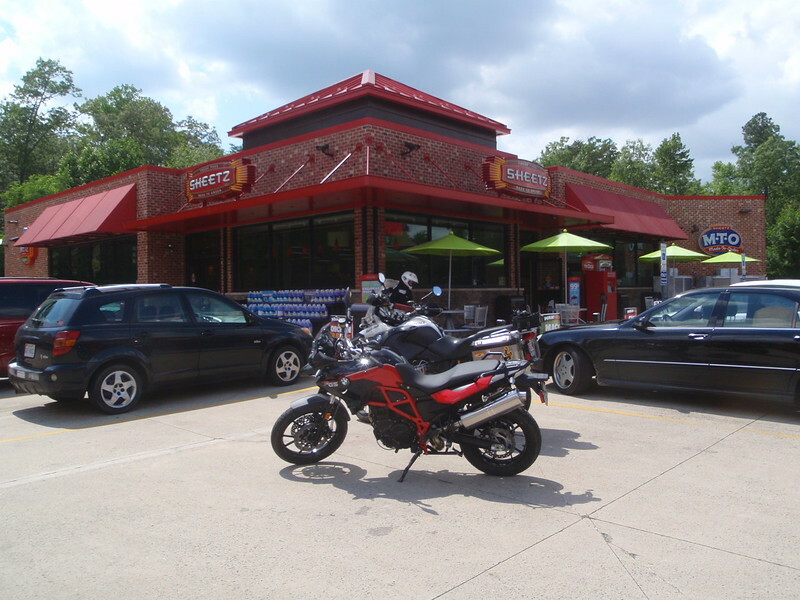 First up are some hand guards, lest we take a parking lot nap and snap off some levers. 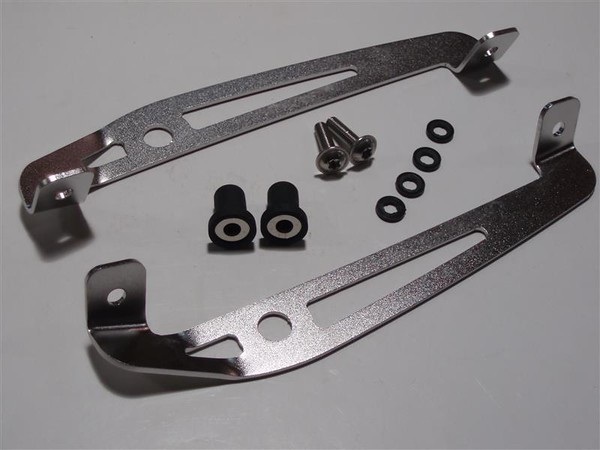 The BMW hardware (P/Ns 77328532948 71607715135 71607705964) resists rust pitting and has an incredible finish. They are refined enough. 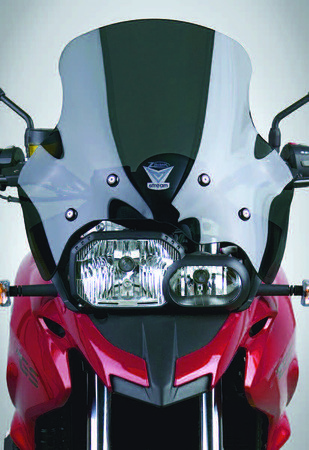 Remember, the F700s run a 7/8 diameter handle bar vs the larger 1" on the F800s, so you need to order the correct ones! 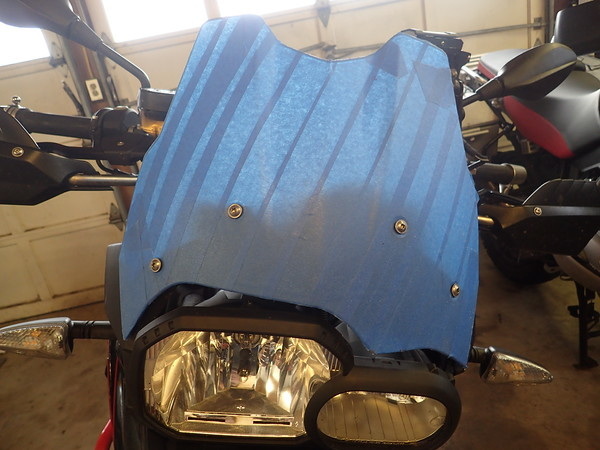 I didn't want a huge skidplate, just something to keep the errant rocks off the all important, life-giving oil pan sump. 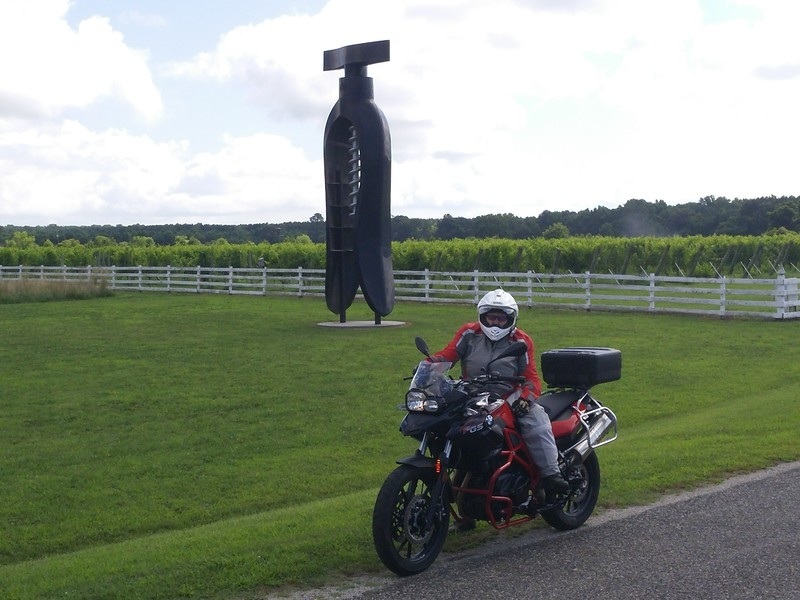 Skidplates seem to come in 2 forms--those that are meant to tractor through Armageddon other are flimsy carbon fiber. 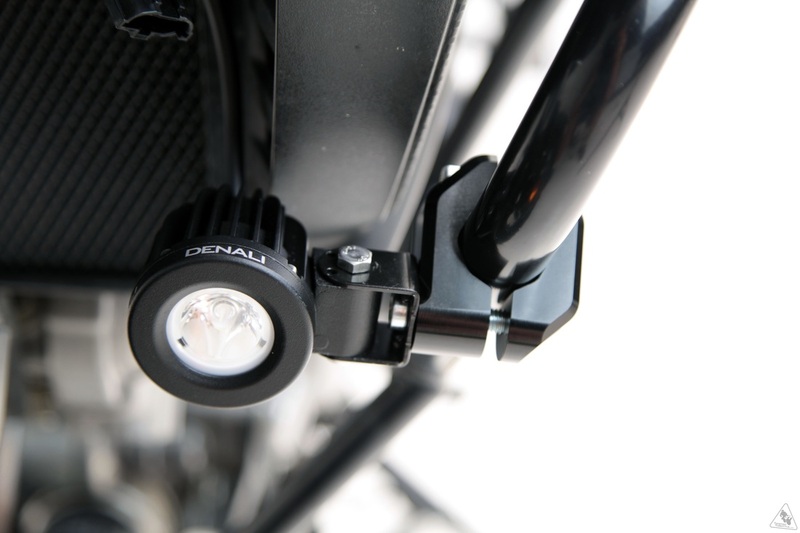 Carbon fiber while light is much like giving a band-aide to a someone that has been shot. It's really not to solve what ails them. 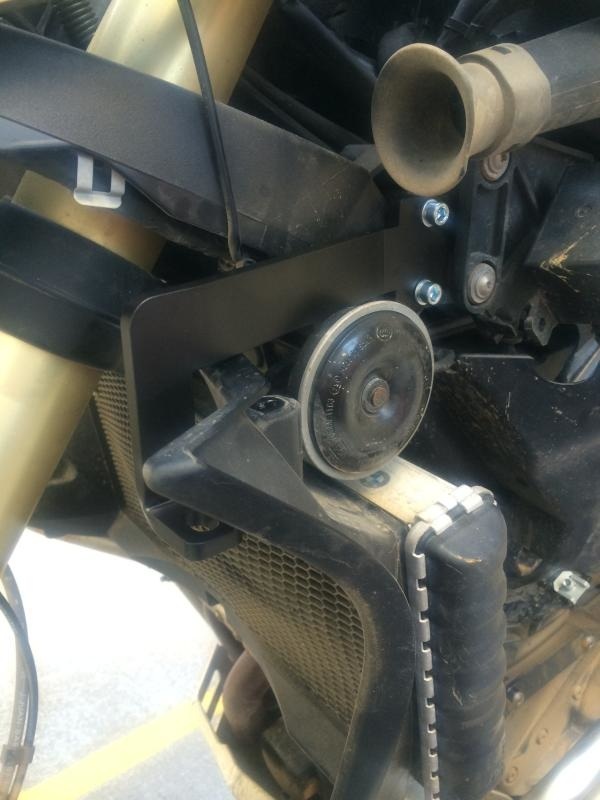 I settled on the Touratech small skid plate. It covers the front oil cooler, has side wings, but still tucks up really nicely and unobtrusively. At this point, you'd think we've met the requirement for protection. 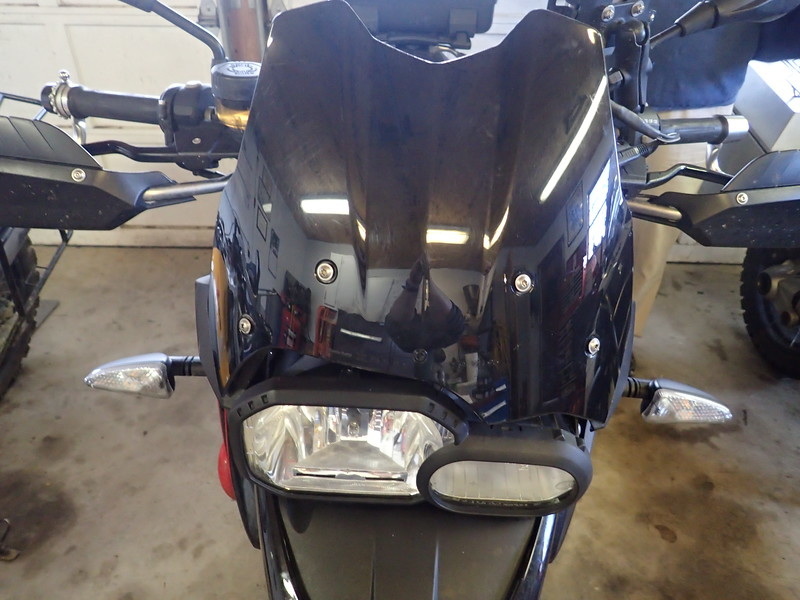 But nope, as I put the bike on the lift, I notice an incredible amount of road spray on the radiator. Bending some fins and only 2000 miles on the odometer. Alrighty then, off to Wunderlich (P/N 8601521) for a nice radiator guard. After the somewhat laborious negotiation with the insurance company on the bike that was totalled, I decided that this build would take another direction. Nearly 60 days into this build, I think I am entering the home stretch. 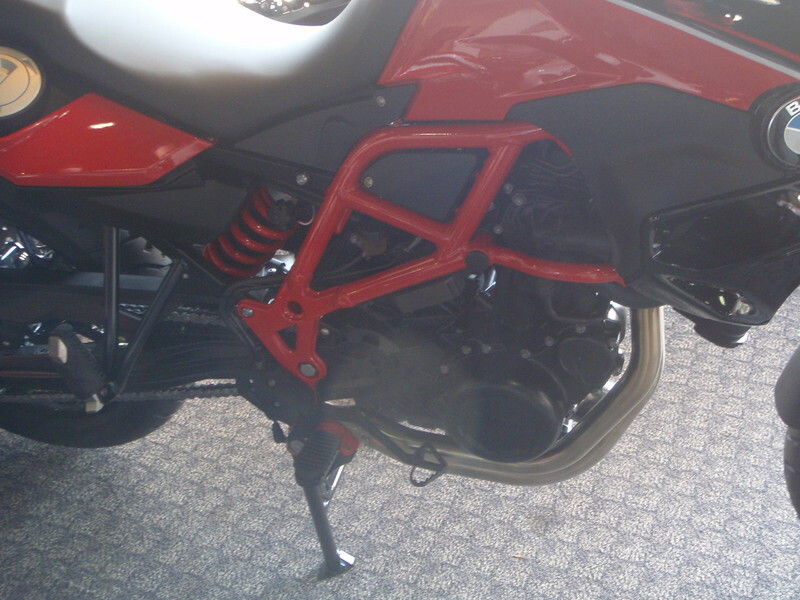 Three parts on back order, the rear shock is being built as we type and one part yet to finalize on spec'ing. Nonetheless, I think we've achieved the point where form meets function. This principle states that the shape of a object should be primarily based upon its intended function or purpose. And so the ultimate commuter is born. Some might wonder what the title of the post has to do with a bike build. Well, from the Saturday Night Live skit, more cowbell has been described on how to make something a bit better. In this case, a bit more cowbell. One of the reasons that this build has gone so smooth, is the learning curve of the available marketplace. Collectively, Bruce and I have spent the last 5 years sampling industry and stressing their products to the max. Here are the top manufacturers worth taking a look. These are sorted in the order that I go after specifying parts. If multiple vendors have the same item, the higher on the list usually wins. Scheffelmeier Mettall --This man is extraordinary with a welder. Limited parts offering, but you won't be disappointed with his old world craftmanship! Wunderlich America --A nice selection of kitting. Tends to be higher pricing, but we've yet to have an item that does ooze quality. Elegant. Twisted Throttle-- Another powerhous/parts giant. Carry many different manufacturers. Twisted Throttle supports many dual-sporting events as a sponsor, so I do support them when I can. 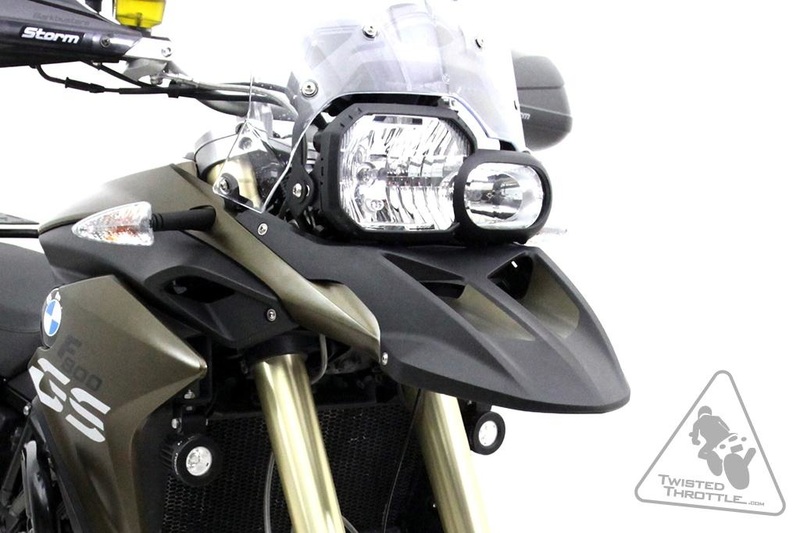 Touratech USA--Another parts giant. While they stock a wider selection of kit, I find some of their engineering a bit crude. SW Motech--Initially, I shied away from them, but found them as one of the few suppliers for my G650XC. I've been very pleased with their crash bars. 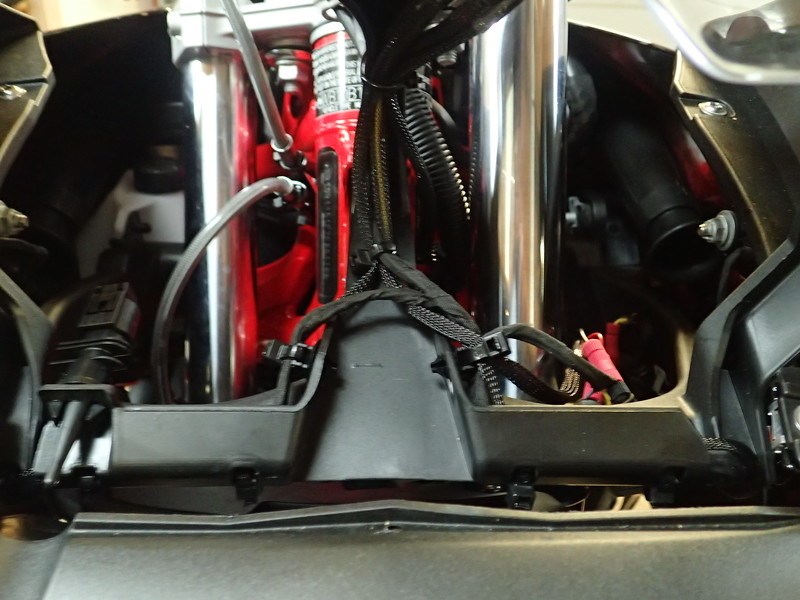 ﻿Twalcom﻿ --Their tool box for the R1200 is the snizzle! It appears that I have been terribly remiss in updating this build! However in my defense, I've been spending countless hours deciding where to take this build. My first thought it that this bike is not intended to be my off-roading machine. And while the previous bike had the focus of building to survive an Electro Magnetic Pulse or maybe Armageddon, this one will focus more on road manners. Since she will be largely my slabbing machine and daily commuter, I was very concerned with lighting. To that end, one of the first investments was two products from the Skene Product line--The Photon Blaster and the P3s. 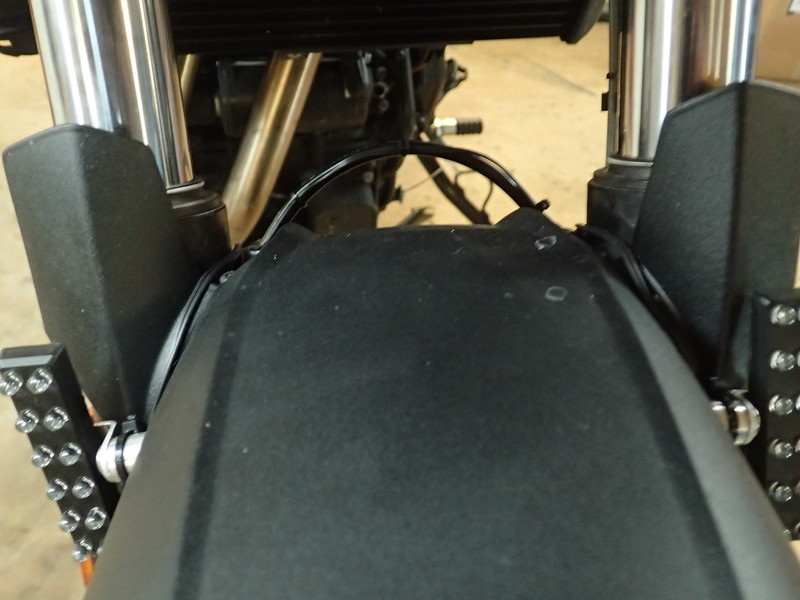 The Photon Blasters are mounted on the front forks. There a 3 Photon Blaster models (constant on, constant on/blinkers, constant on/blinker/brake flasher. 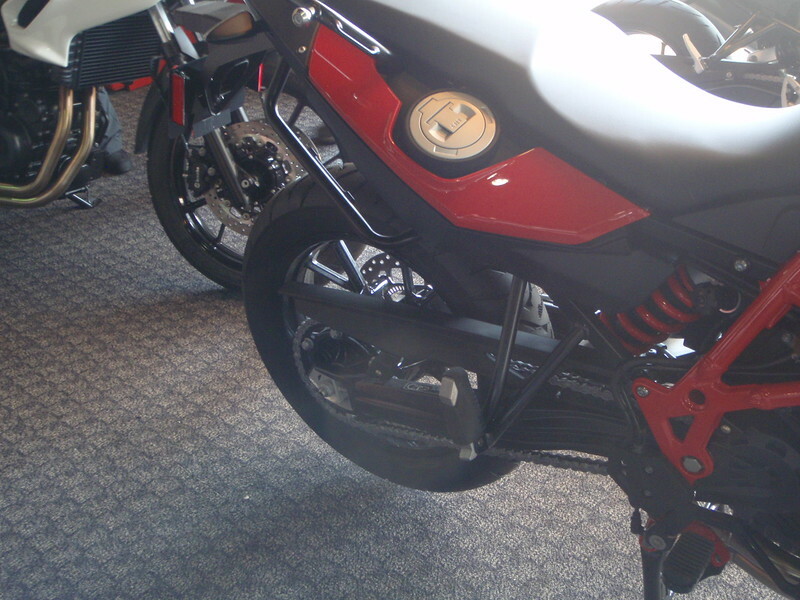 Unless you are mounting them on the rear of the bike, I wasn't sure how the last model make any sense. 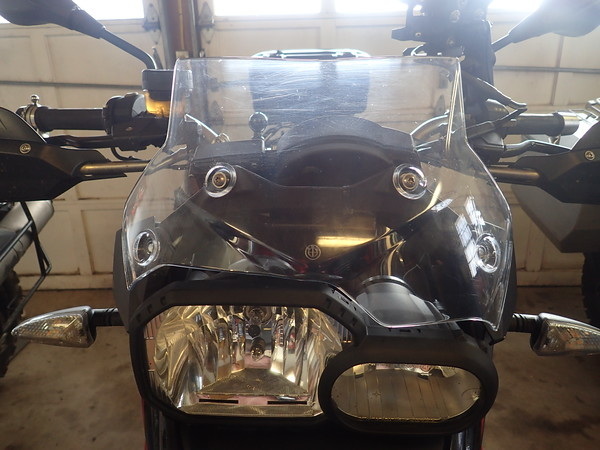 So, I mounted the constant on/blinkers. A little more than 1 month worth of use/2000 miles and I am very happy with them. I have found that cars that normally pull right out in front of me from their private drives, are now braking to look. When you buy the Photon Blasters, you need to specify the mounting point. 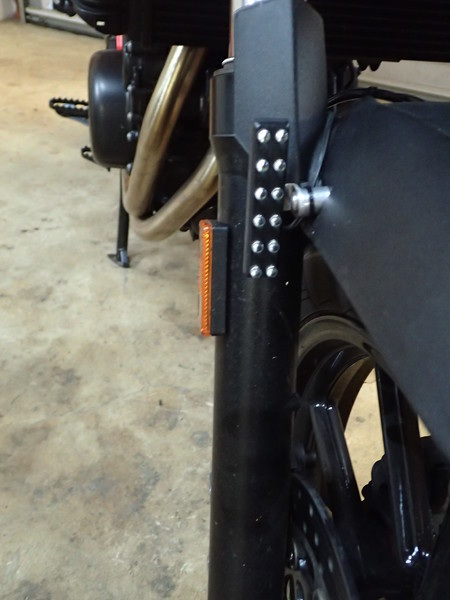 I used the front fender, but you could also use the fork bolts. Run the Skene wires zip tied to the brake line. I used the headlight for the power and ground. 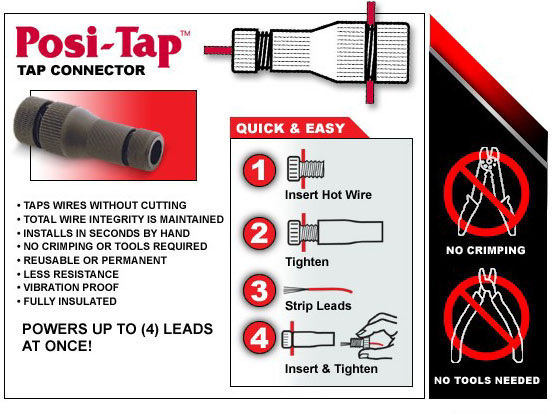 While I've had great success with using Posi-Taps, a purist may say that only a crimped/soldered/shrink wrapped connection is adequate. Well, easy that is if you don't drop a bolt and it falls all the way down the tail....Soon enough victory is mine. 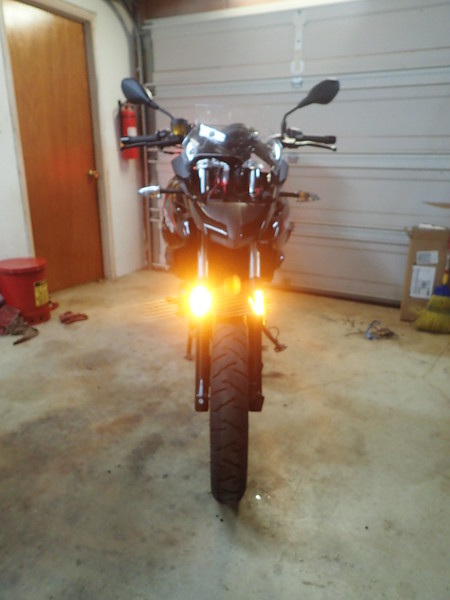 I also replaced the incandescent turn signal bulbs with these LEDs version. 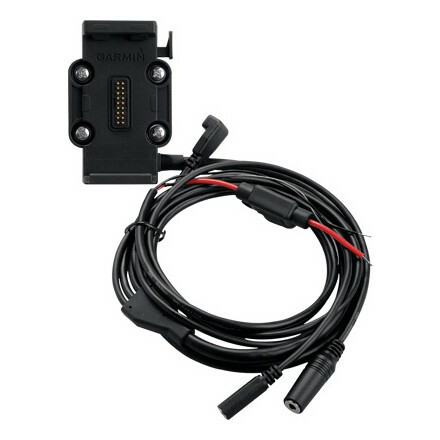 They are plug and play and require not other modifications to not throw any error codes with the CANbus system. Since they also leave the OEM reflector alone, they are uber bright. I figure I am just about ready to play with the Encounters of the Third Kind! Next up in the wonderful world of 'E'lectrons is a power distribution module. While I've used the Eastern Beaver Power, I've found it a bit bulky. While a bit more spendy, I've found the solid-state technology of the PDM60 to be a better match for my higher end sleds. I used to try to put them where I could monitor them, but space is such a premium. Now a days, I tuck it whereever, as you never service it and really never need to look at it again. In my case, I secured it to the air filter lid by drilling and tapping two holes. You can still see the lights, but again, those are mearly a function I've never used in 70K miles on the previous bike. 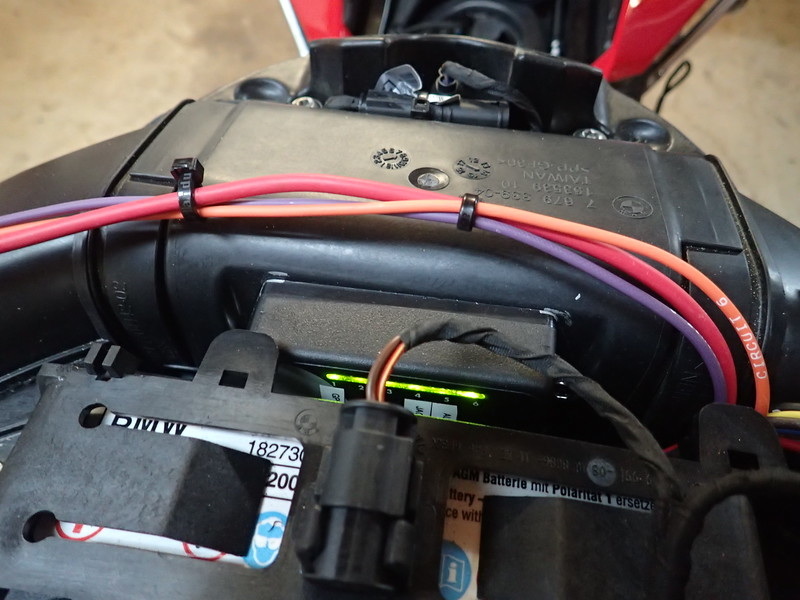 Two of the PDM60 circuits are used on power for the GPS unit, a pigtail to the seat for my winter heated gear. Next up is lighting. 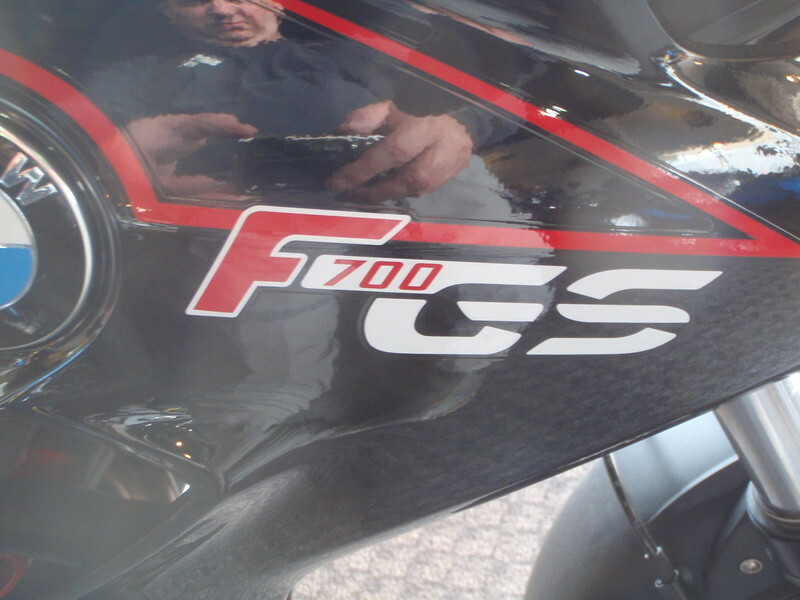 I will say that the F700 has a relatively petite sized stator, as compared to the engine. 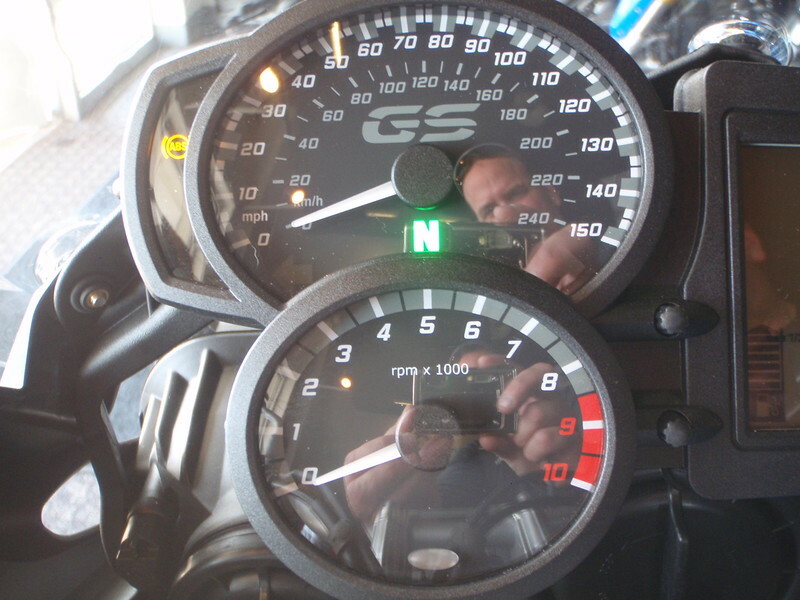 As such, I've never been able to run all heated kit (grips, jacket and PIAA Halogen lights) on the previous Twin. 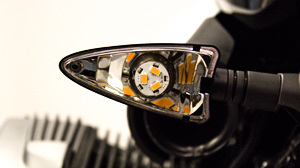 Since it's been 6 years, LEDs lights are really the only logical choice given their dramatic performance improvement, as well as, low current requirements. 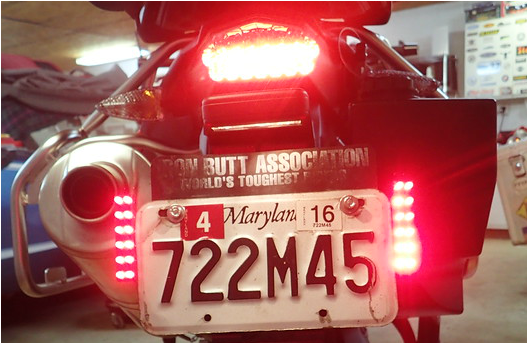 My finalist lights were the Clearwater Kristas 2, The Rigid Industries D-Series, Denali D4, MotoMondos, and various other ones. I fell in L.o.V.e with the slick mounting system for the D4s, so I bought those. It was slick, unobstrivsive and plain old clean. 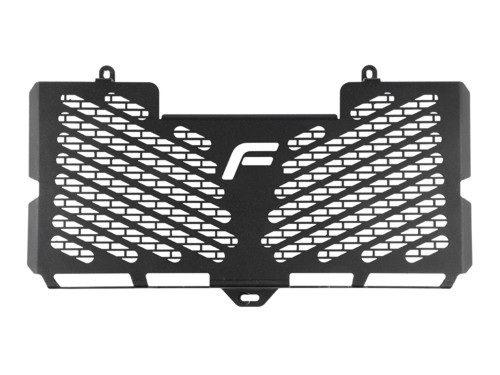 Imagine my shock when I realize that the mounting system won't work on the F700s (F800s) have a side panels. Newest member of the family!!! 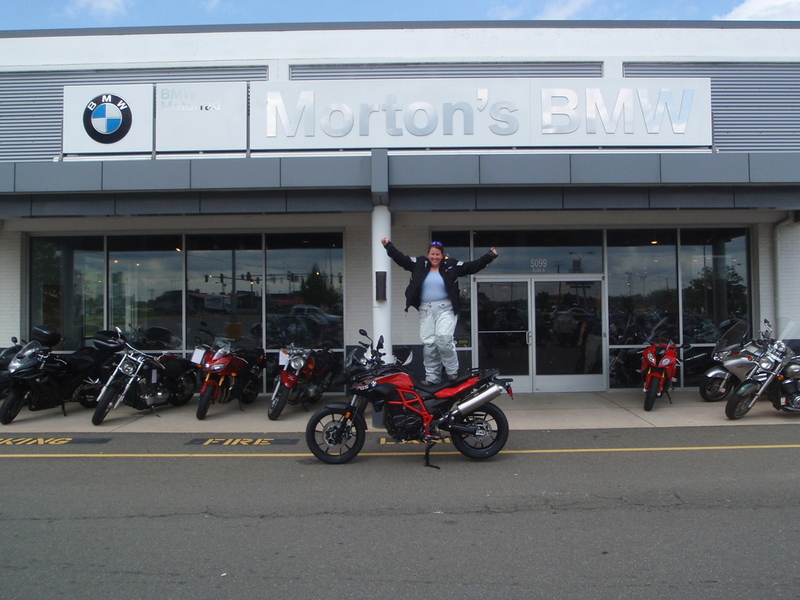 They were a bit surprised to have someone standing on the seat of a brand new bike! Blastoff Adventures would like to announce the newest filly in the stable. 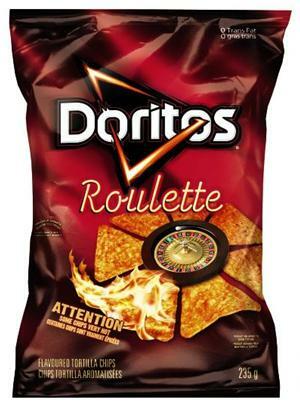 She will continue carrying on the Doritos namesake and is the second heiress in line for the throne.